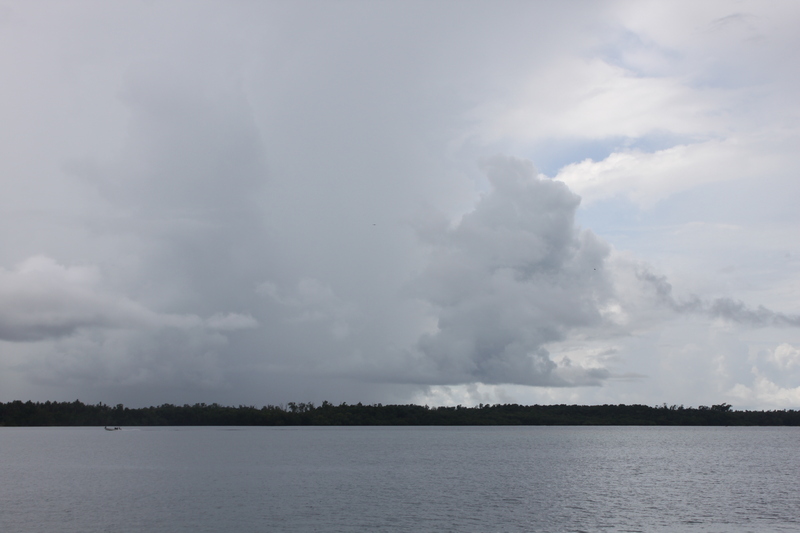 We’re still in Kavieng, just 120 miles south of the equator, and we’ve had a lot of rain recently. I mean a LOT of rain. In Fiji it didn’t rain once from the beginning of August through the middle of September. We’ve had 4 multi-inch dumps in the last 3 days here in Papua New Guinea. These showers last less than an hour, giving us time to swim and explore. But when it rains here, it rains. 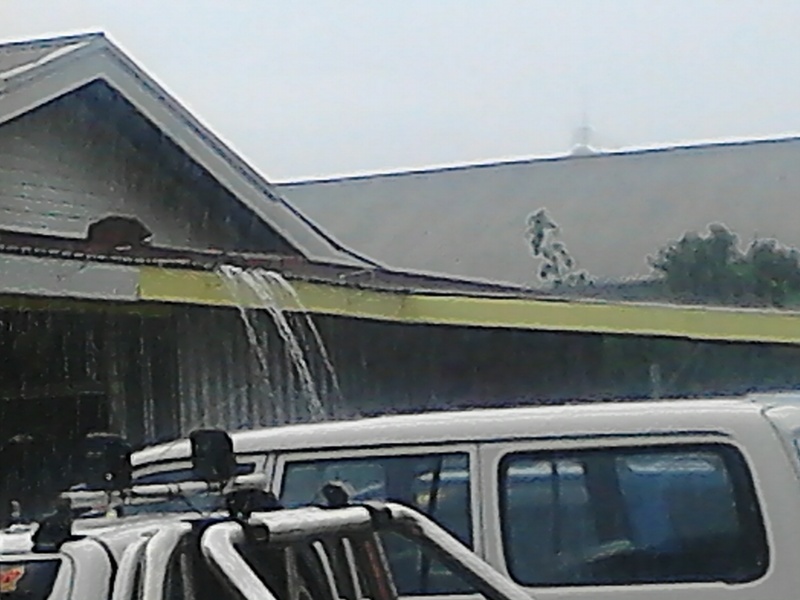 The hose on our water maker remains broken, and we believe that its replacement is on the plane from Lae that lands in Kavieng within an hour. If that does happen, we will leave for Indonesia tomorrow. 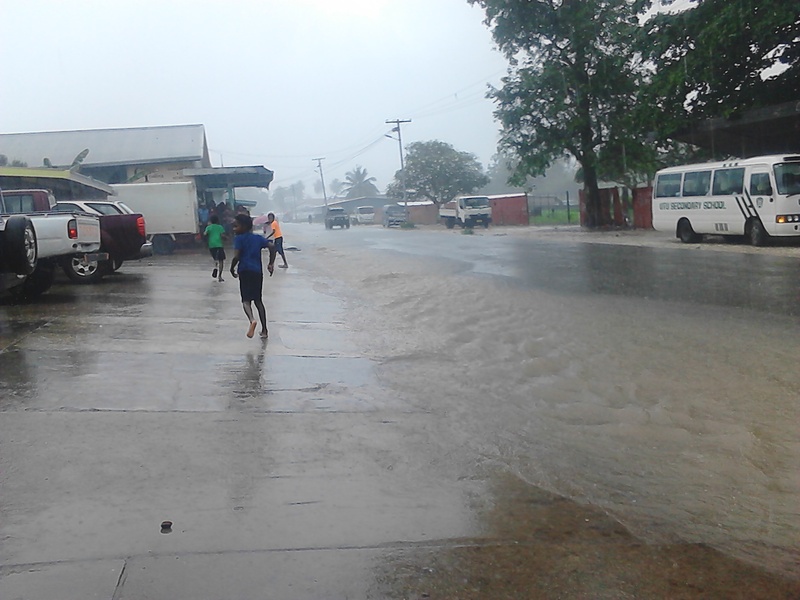 But in the meantime, all of this rain everywhere in Kavieng has made us rethink how we go about getting water on Sophie. As an experiment, we tried our hand at building dams on deck to capture rainwater into our water tanks. We didn’t get vey sophisticated here. 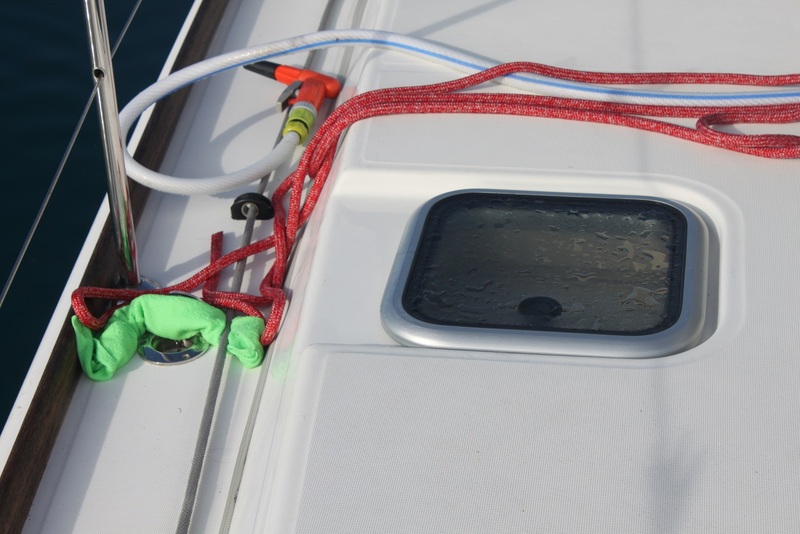 Our deck fittings for the water tanks are located in gutters along the side of our foredeck. We simply rolled up some towels and placed them right behind the tank openings. We also laid out some sheets and hoses on the deck and coach roof to direct water towards the general direction of the tank openings. The result? This water tank was empty 3 days ago, and it now has over 100 gallons of rain water in it. 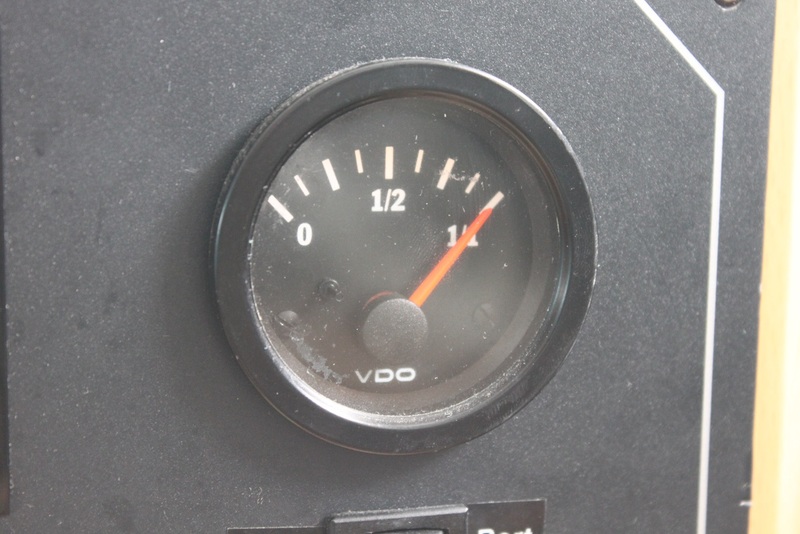 The other tank caught a similar amount. The decks were clean before the experiment, and the water goes through a carbon filter before we use it. So we feel better about drinking this water than water we would load from sources on shore. The water maker will continue to be our primary source of fresh water moving forward, but its good to know we have a working alternative, at least when we are in rain country. It also means that when we are in rain country, we can turn on the air conditioners instead of the water maker when we are charging our batteries with our generator. No one on Sophie is complaining about that right now.